So you want to see Bigfoot? He’s coming to your town, Houston and San Antonio. Or at least, whatever the huckster Rick Dyer is trying to pass off as a Bigfoot carcass is coming to your town. Dyer, 36, says he killed an 8-foot-tall Bigfoot in San Antonio in 2012 with a 30-06 rifle after he lured “the beast” near his tent with a set of Wal-Mart ribs he rubbed with a secret ingredient. “I know it sounds crazy, but it’s true,” said Dyer, who is coming back to the Alamo City and Houston in February to showcase his catch. He tows the corpse behind a 40-foot coach in a trailer across the country to show folks just how real Bigfoot is. Dyer killed the mysterious creature in a wooded area near Texas 151 and Loop 1604, he said Sept. 6, 2012. After getting “leads” from homeless locals, Dyer set up a tent in the woods and booby trapped trees around his tent with ribs he purchased from Wal-Mart, who in fact does have the best ribs for Bigfoot-huntin’, as well as the best return policy. Snopes helpfully reminds us that Dyer made a similar claim in 2008, and his “Bigfoot” turned out to be a rubber ape costume. But don’t worry, even though he won’t give any tissue samples for testing Dyer assures us that some university he can’t name because of “nondisclosure” is doing some testing for him, so we can totally trust him this time. OK, we all know this guy is a carny barker, and he’s doing this to scam a few bucks off of the gullible. I’m sure he’ll succeed at that. What’s more, I’m feeling strongly tempted to see his “carcass” for myself, so I can get a good laugh out of it. I’ll probably hate myself afterward, but I’m still feeling the pull. Someone please talk me out of this. To their credit, Texas wildlife officials have the right idea here. “We don’t acknowledge that one exists, but if you wanted to shoot and kill a Bigfoot in the state of Texas you would just need a hunting license,” Major Larry Young, game warden with Texas Parks and Wildlife, joked Tuesday. Young said that although it’s legal, he doesn’t exactly think it is moral. “It’s kind of like shooting a person,” he said. “We can’t prohibit anyone from hunting fictional characters, including Sasquatch, Chupacabra and other urban myths,” said Steve Lightfoot with Texas Parks and Wildlife. The folks at the People for the Ethical Treatment of Animals don’t think that Bigfoot is real, but do feel strongly about those that would shoot something exotic for sport. If anything the hunting and killing of a fictional animal teaches a lesson about hunting culture in general. According to Rajt, the popularity of hunting for sport is in decline, and has been since the late 1970s. “Wildlife watching is gaining popularity over hunting,” she said. “As an organization we do oppose hunting of any kind. It’s cruel and unnecessary and can damage populations and ecosystems,” Rajt said. 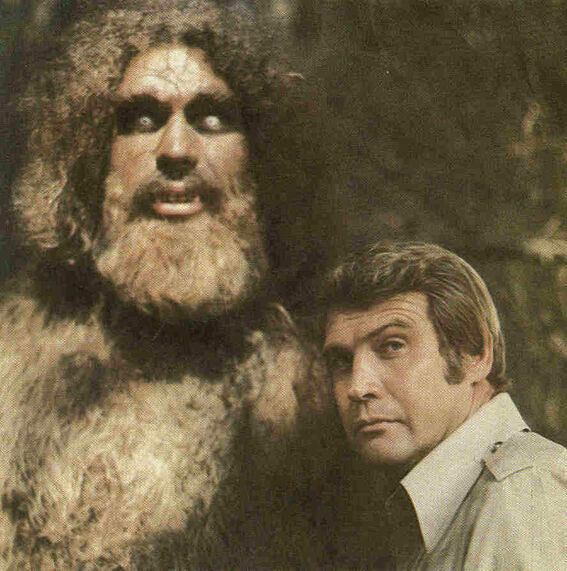 Yeah, we wouldn’t want to have to put Bigfoot on the endangered species list, right? I got nothing.